News : On 11.11 Baltic Circle invites you to participate in the POSITIONS performance! The International Theatre Festival Baltic Circle invites you to "Take your POSITIONS" at Lasipalatsi square on Monday 11.11.2013 at 17.00, to participate in a performance by Public Movement. The performance will be in Finnish and in English and lasts 15 Minutes. POSITIONS is a choreographed demonstration that invites people to take a stand on any number of urgent issues, to choose a side: Riding a bike or using a car? Drinking coffee or tea? Theatre or Cinema? Right-wing or left-wing? The participants respond actively to different questions by moving from side to side. In this way a visual image of public opinions is formed. Presented in New York, Italy, Israel, Germany, Holland, Sweden and now Finland, Public Movement inspires the public to embody their preferences, aspirations, and beliefs – manifesting political and philosophical ideas as physical positions. Public Movement is a performative research body which investigates and stages political actions in public spaces. 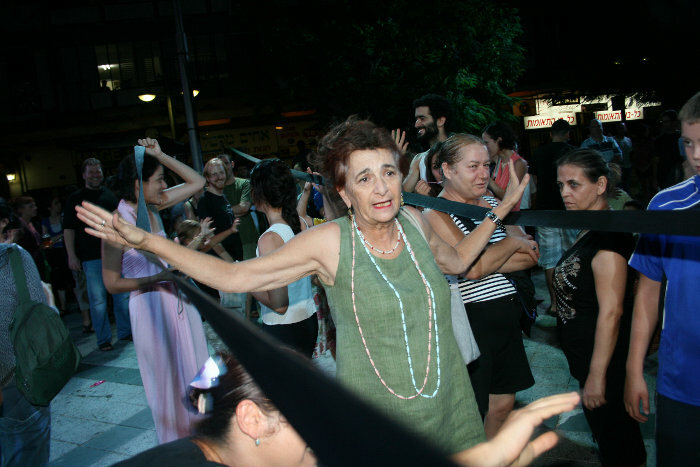 It studies and creates public choreographies, forms of social order, overt and covert rituals. Among Public Movement's actions in the past and in the future: manifestations of presence, fictional acts of hatred, new folk dances, synchronised procedures of movement, spectacles, marches, inventing and re-enacting moments in the life of individuals, communities, social institutions, peoples, states, and of humanity. In the last six years, Public Movement has explored the regulations, forces, agents, and policies, formations of identity and systems of ritual which govern the dynamics of public life and public space. Public Movement was founded in December 2006 by Omer Krieger and Dana Yahalomi, who led it together until August 2011. The movement is currently led by Yahalomi.